Kevin Evans - Global TV, Myself and Donna Freeman - BC Housing EXEC Plus Letter from BC Premier Christie Clark May 7th 2015 . Instructor at Kwantlan Polytechnic University. Your ability to explain why and how you did what you did was more telling than anything I have ever seen. Thank you once again, your story is one that I will carry with me throughout my studies and into my life in general. 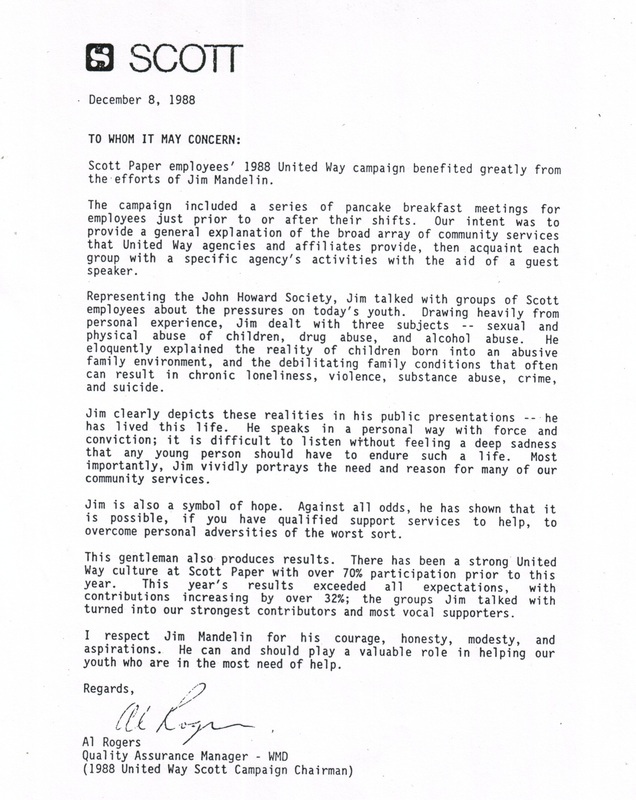 Jim's first United Way Campaign in 1988, a letter from a thankful Company Campaign Chairman. 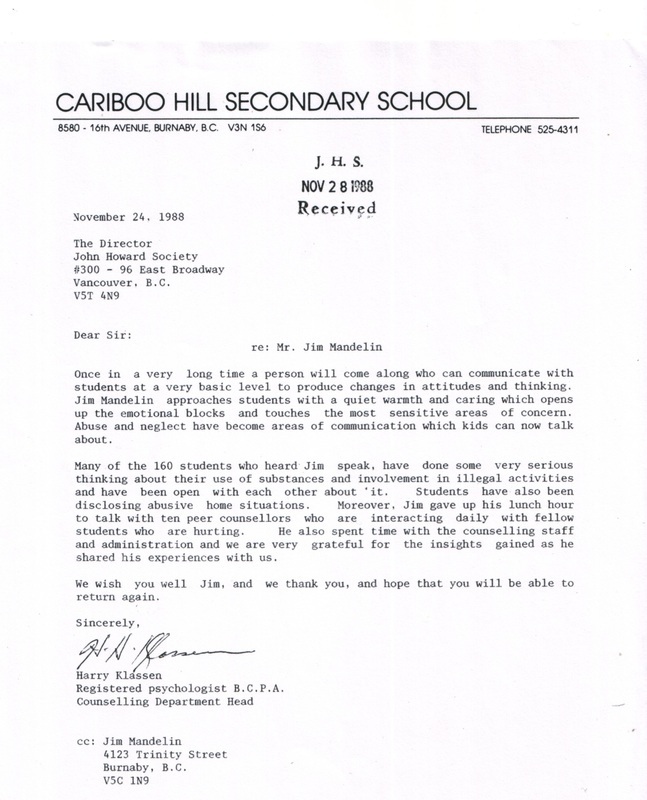 One of the many letters from schools that has had Jim come in to talk to their kids. This is one of the many presentations Jim gave to blocks of new Police recruits in their last week of training. A child's life was saved from suicide this day. 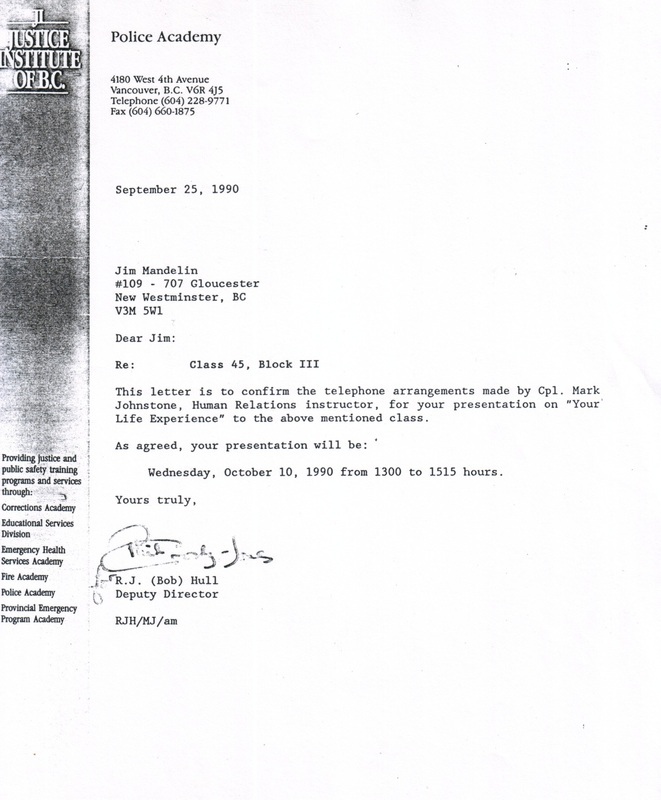 Confidentiality prevents Jim from posting the majority of the thousands of letters and emails young people have sent to him. 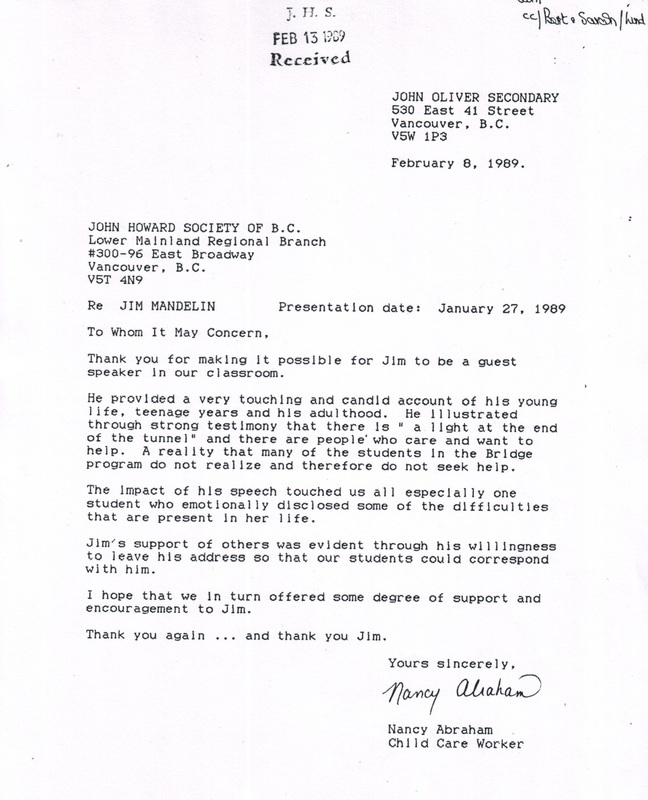 However there is a couple of student letters that Jim was able to share by permission. Please enjoy.